WASHINGTON DC – The House Energy and Commerce Committee recently voted to approve H.R. 2045, the Targeting Rogue and Opaque Letters (TROL) Act, by a vote of 30 to 22. Authored by Commerce, Manufacturing, and Trade Subcommittee Chairman Michael C. Burgess, M.D. (R-TX), the TROL Act was designed to help stop the practice of abusive patent demand letters while protecting the rights of legitimate patent holders to protect their intellectual property. The TROL Act increases transparency and accountability in patent demand letters so businesses can weed out deceptive letters. The Act also establishes a national standard for the enforcement of abusive patent demand letters and allows the Federal Trade Commission (FTC) and state attorneys general to levy fines on bad actors. “This legislation takes on a costly scam that, by many accounts, continues to worsen,” said Burgess. “The very real problem of abusive patent demand letters compels us to find a solution expressly designed to enable enforcement that’s free of constitutional setbacks.” To learn more about the TROL Act, click here. 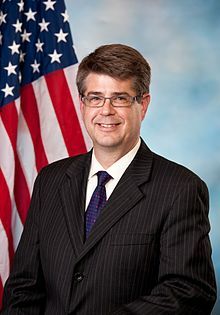 WASHINGTON, D.C. – Commerce, Manufacturing, and Trade Subcommittee Chairman Lee Terry (R-NE) (pictured) recently proposed draft text of legislation to address illegitimate patent demand letters. The legislation is designed to protect businesses from abusive patent assertion entities, also known as PAEs or patent trolls, while preserving the ability of legitimate companies to prosecute their patents. The draft legislation seeks to increase transparency and accountability to help expose and prevent fraudulent infringement claims. It would require patent demand letters to include certain basic information to help companies determine whether a letter is legitimate. It would also enhance Federal Trade Commission (FTC) authority to levy fines on fraudulent patent demand practices, and provide state Attorney General enforcement of the federal standard. Washington, D.C. – Utah Senator introduces a bill which includes both fee shifting and bonding to stop the drain on the economy caused by patent trolls. U.S. Senator Orrin Hatch (R-Utah), current member and former Chairman of the Senate Judiciary Committee, recently introduced legislation to address the growing threat of so-called “patent trolls.” Patent trolls purchase existing broad patents and then accuse businesses of infringing on those patents, in search of a financial settlement or litigation. Hatch’s legislation, the Patent Litigation Integrity Act (S. 1612), gives judges more opportunity to shift the costs and expenses of litigation, and gives defendants the opportunity to request a bond up front to prove the party seeking to assert a claim on the patent has adequate resources to turn over to the prevailing party if that party is successful in defending its claim. The patent-trolling business model includes no productive operations. Instead, investors’ money is used to purchase patents for the sole purpose of alleging infringement and extracting payment under the threat of litigation. Because litigation can be very costly, the patent trolls’ targets face a difficult decision: settle (typically by buying a license from the troll) or pay significant litigation expenses — and face the potential of losing at trial, which is somewhat unlikely but where damages can be enormous. In contrast, the trolls often use contingency-fee attorneys and, thus, have little more at stake in any given lawsuit than a few hundred dollars for a court-filing fee. Many view this type of litigation with suspicion, if not outright derision. At least four patent-reform bills are pending in Congress and the Obama Administration recently released a harsh indictment detailing the damage to innovation and the economy caused by the “abusive practices in litigation” committed by patent trolls. Various measures to curb frivolous patent litigation have been suggested, including increasing transparency of patent ownership and establishing a website through the U.S. Patent and Trademark Office to inform patent-troll victims of their rights. South Bend, IN – Biomet, Inc. of Warsaw, Indiana has filed a declaratory judgment suit against Bonutti Skeletal Innovations LLC of Frisco, Texas in the Northern District of Indiana, asking the court to enter a judgment of non-infringement and invalidity of fifteen Bonutti patents. Biomet is a privately held company that designs, manufactures and markets products used primarily by musculoskeletal medical specialists in surgical and non-surgical therapy. Dr. Peter Bonutti is an orthopedic surgeon listed as an inventor or co-inventor on over 150 U.S. patents, including the patents-in-suit. Biomet entered into a licensing agreement with Dr. Bonutti, via his research and/or patent-holding company MarcTec, LLC, in 2006. Since September 2012, Bonutti Skeletal has initiated a series of patent-infringement lawsuits against medical-device manufacturers, including Depuy, Inc.; Zimmer, Inc.; Smith & Nephew, Inc.; Wright Medical Group, Inc.; ConforMIS, Inc.; Arthrex, Inc.; Linvatec Corporation and ConMed Corporation. In each of these suits, Bonutti Skeletal has asserted infringement of Bonutti patents against products similar to those produced by Biomet. In January 2013, Bonutti informed Biomet that it believed that Biomet was infringing upon Bonutti patents; it demanded a settlement to license these patents shortly thereafter. On that basis, Biomet seeks a judgment under the Declaratory Judgment Act, stating that an actual and justiciable controversy exists. Patent attorneys for Biomet listed fifteen Bonutti patents in their complaint. Biomet asks for declarations that there was no infringement by Biomet of any of the fifteen Bonutti patents and of invalidity of all of the patents, a finding that the case is exceptional and an award of attorneys’ fees and costs pursuant to that finding. Practice Tip #1: It is common for those who consider themselves likely to become defendants in patent-infringement litigation to proactively seek a declaratory judgment of non-infringement. Such a suit allows the potential defendant not only to choose their own forum, to the extent that it is consistent with jurisdictional restrictions, but also to remove an ever-present cloud of potential litigation and potential damages that may be continuing to accrue. Practice Tip #2: The standard for an actual controversy under the Declaratory Judgment Act was most recently addressed by the Supreme Court in MedImmune, Inc. v. Genentech, Inc., 549 U.S. 118 (2007). We blogged recently about another action for declaratory judgment involving Genentech here. The fee schedule in this final rule will recover the aggregate estimated costs of the Office while achieving strategic and operational goals, such as implementing a sustainable funding model, reducing the current patent application backlog, decreasing patent application pendency, improving patent quality, and upgrading the patent IT business capability and infrastructure. The Patent Public Advisory Council reviewed the September 2012 proposed rules and noted the many of the fees were tied to reducing pendency, using a goal of 10 months to the first Office action by 2015, and a goal of 20 months total pendency by 2016. Under the final rules, achievement of those two goals is pushed back to 2016 and 2017 respectively. 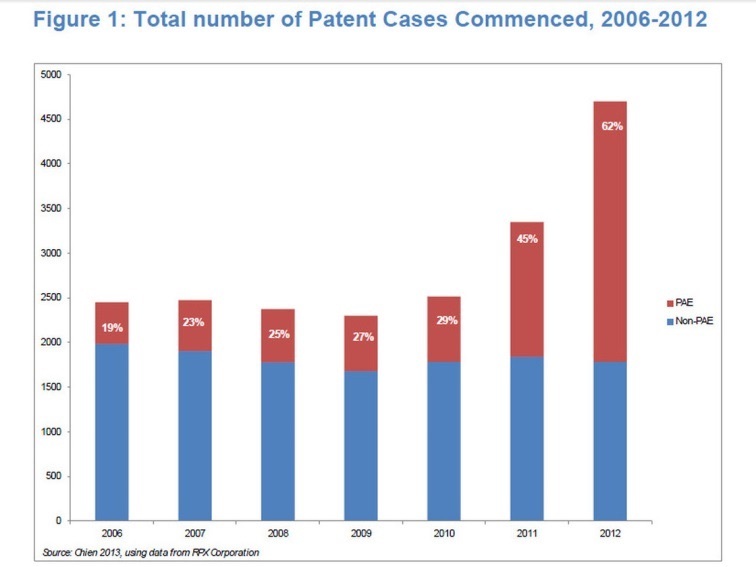 In addition, the Office anticipates a reduced backlog and inventory of approximately 335,000 patent applications by 2016. For most of the fees, the effective date is March 19. 2013. As we blogged in March 2011, the U.S. District Court of South Carolina transferred FC Patents v. Ford Meter Box Company of Wabash, Indiana, a patent infringement case involving fire prevention fixtures, to Northern District Court of Indiana. Following the transfer, plaintiff FC Patents voluntarily dismissed the case. This case was assigned to Judge Theresa Springmann and Magistrate Judge Christopher A. Nuechterlein in the Northern District of Indiana, and assigned case no. 3:11-cv-00116-TLS -CAN. As we blogged in May 2011,Brandon S. Judkins of Indianapolis, Indiana filed a patent infringement suit alleging Polo Ralph Lauren Corporation of New York, New York infringed Patent No. D591,090, FURNITURE ARTICLE, which has been issued by the US Patent Office. In August 2011, Mr. Judkins voluntarily dismissed the case. This case was assigned to Chief Judge Richard L. Young and Magistrate Judge Debra McVicker Lynch in the Southern District of Indiana, and assigned Case No. 1:11-cv-00661-RLY-DML. 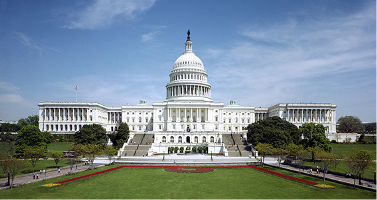 Washington, DC – A popular topic among patent lawyers across the country is the proposed “patent reform” legislation being debated and considered by members of the House of Representatives and the Senate. 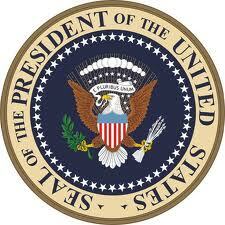 Titled the “Leahy-Smith America Invents Act,” the pending legislation in the House, H.R. 1249, passed by a 304-117 vote on June 23, 2011. A version in the Senate, S. 23, passed on March 8, 2011, by a vote of 95-5. The bill will go through the reconciliation process after Labor Day, and President Obama has indicated that he will sign the law. Notably, the proposed legislation would switch the United States from a “first-to-invent” to a “first-to-file” system. What this means is that, in order to gain patent protection for his or her invention, an inventor would have to be the first person to actually file a patent application claiming the invention. Under current law, through the “interference” process, an inventor may challenge an earlier-filed patent application by arguing that he or she had an invention date prior to the applicant’s filing date. Proponents of this change believe it would simplify the application process and bring U.S. patent law into harmony with the laws of all other countries, which already operate on the “first-to-file” system. Critics of the “first-to-file” system say that it disadvantages independent inventors, who often lack the resources to support early-stage patent filings for their inventions. South Bend, IN – A patent infringement lawsuit that was originally filed in the District Court of Delaware was transferred to the Northern District of Indiana. 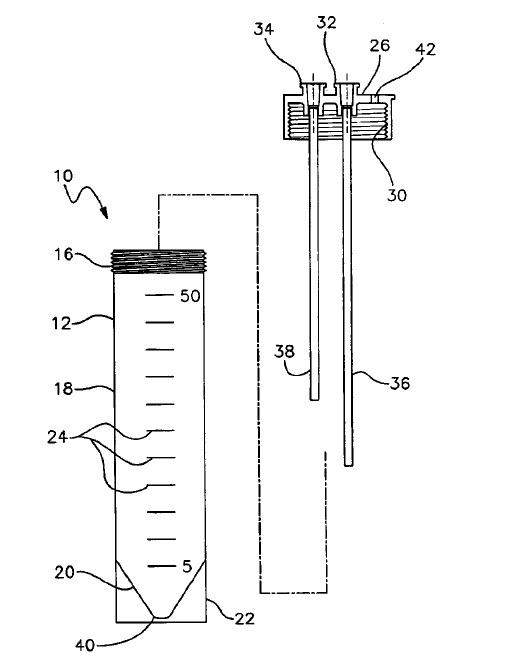 Patent lawyers for Gian Biologics LLC of Delaware filed a patent infringement suit in the District Court of Delaware alleging Biomet, Inc. of Warsaw, Indiana infringed patent no.6,835,353 CENTRIFUGE TUBE ASSEMBLY, which has been issued by the US Patent Office. The patent at issue is used for holding blood and separating blood product in to discrete components. The complaint alleges that Biomet makes, uses, sells, offers for sale and/or imports infringing products, namely several Biomet product lines including Plasmax Concentrator and Gravitational Platelet Separation Systems. The complaint alleges one count of patent infringement and seeks injunction, damages, attorney’s fees and costs. 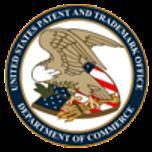 Gian’s patent attorneys filed the complaint in October 2010. Practice Tip: 28 U.S.C. 1404 allows transfer of a case from one district court to another by order of the court or by stipulation and consent of the parties.